Wisata Pulau Tidung Pulau Tidung is one of the villages in the district of South Thousand Islands, Thousand Islands District, Jakarta, Indonesia. Pulau Tidung is divided into two, namely, Pulau Tidung Large and Small Pulau Tidung. Use of this island territory in the direction of developing marine tourism such as diving and research on coral reefs. 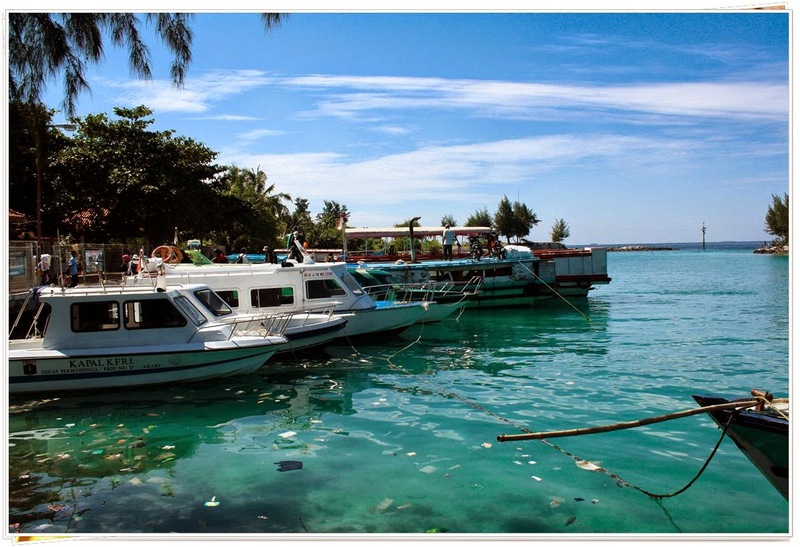 Pulau Tidung consisting of Tidung Large and Small Tidung are connected by a long bridge called the Bridge of Love by locals is located in western South Thousand Islands, with a mileage of less than 3 hours drive from Muara Angke with passenger ships. As one of the favorite destinations flights, Pulau Tidung can be found exploring the village and some of the stalls that provide food and soft drinks, then this long trail will pass through public facilities, such as police stations, schools to senior high school students from around the island , a collection of stalls and headed to the bridge connecting the island Tidung love Big with Small Pulau Tidung without inhabitants. At the beginning of this bridge, the bridge will be found high enough to go through a rather deep ocean basins, where many children demonstrate locals diving from the bridge as a means of playing them, quite entertaining tourists and very inviting desire to join with them make diving in blue beach without waves. At the end of the bridge, up the coast of the wisata Pulau Tidung is the breeding area of ​​mangrove, still perform beautifully explored by bicycle, through a path that is filled with weeds and the deserted beaches of soft white sand, very beautiful scenery.